Essential thrombocythemia (ET) is an indolent myeloproliferative neoplasm characterized by megakaryocyte hyperplasia, thrombocytosis, thrombotic and hemorrhagic complications, and potential transformation into myelofibrosis and acute myeloid leukemia. The vast majority of cases are driven by a somatic mutation in JAK2, CALR, or MPL. 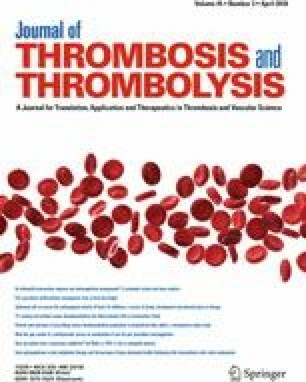 CALR, a gene that codes for the calcium-binding chaperone calreticulin, is the predominant mutation in patients with non-mutated JAK2 essential thrombocythemia, accounting for 20–25% of the overall somatic mutation frequency in ET. In this brief review of ET, we introduce a rare CALR mutation through a case presentation of a 58-year-old man with diffuse pulmonary emboli in the setting of thrombocytosis. We subsequently characterize the main types of CALR mutations and their value in diagnosis and prognosis of disease course, and lastly discuss the current clinical approach to ET. In keeping with the Duke IRB policy, the review of medical records for publication of a single case report is not considered to be research involving human subjects, and therefore such a report does not require IRB review and approval.